« Ring in the new year! Who doesn’t enjoy receiving a gift – especially one that is beautifully wrapped? Stranger & Stranger, a packaging design and branding company that specialises in the drinks business, understands the psychology behind our enjoyment better than most. In recent years, the firm has created sinfully gorgeous packaging for a number of wine companies that, in a clever twist of marketing strategy, manages to incorporate the joy of receiving a gift into the act of purchase – by “gift-wrapping” wine bottles. Stranger & Stranger's brilliant packaging for Truett-Hurst. I have been thinking about their beautiful creations ever since Patrick Schmitt’s article in The Drinks Business profiled the packaging Kevin Shaw created for Truett-Hurst’s sales in the US supermarket chain, Safeway. 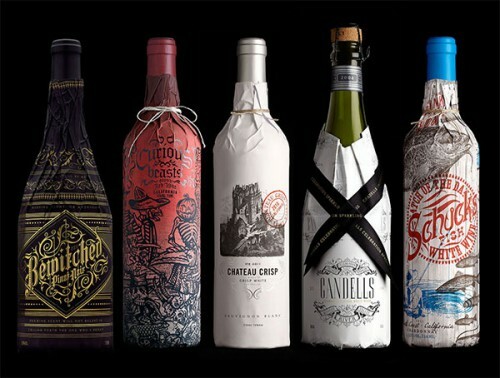 Wanting to differentiate the company’s products by adding content that couldn’t easily fit on a standard label (either front or back), Shaw used Stranger & Stranger’s custom-designed paper sheaths to tell a story, offer a recipe, or simply inform customers that they were purchasing a seafood-friendly white wine. The sheaths are not only visually pleasing, they are also tear resistant and can be reused as gift wine bags or simply put in the paper recycling bin. Sales were reported to have “gone nuts” following the Safeway launch, but I kept on thinking about other uses for wine sleeves and branded giftwrap beyond the supermarket shelf. Stranger & Stranger's award-winning design for VML - "suitably worshipful." While Shaw’s packaging design served one purpose – brand differentiation for what is really a fast-moving consumer good (FMCG), I wanted to see the same thought and design process worked into an artisanal or premium wine brand. 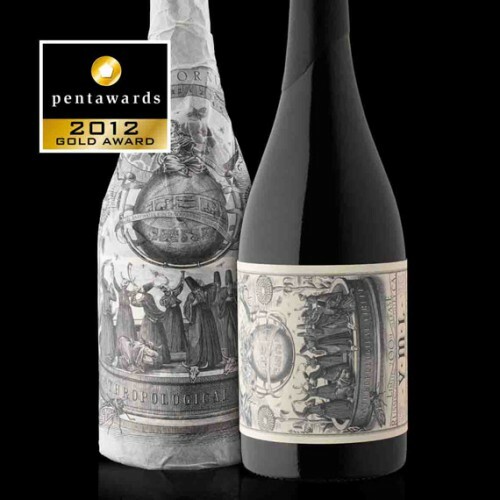 Stranger & Stranger were way ahead of me: the firm also won a Gold Pentaward in 2012 – in the “Luxury” category – for their work on Truett-Hurst’s sister company, VML (named after biodynamic winemaker Virginia Marie Lambrix). Artisanal wineries in New Zealand will find plenty of inspiration on Stranger’s website, but even if your budget doesn’t stretch to the design and purchase of patented wine bags, the basic idea can be easily – and cheaply – customised for your brand. Most wineries that have undergone a branding or rebranding process in recent years will have a readymade portfolio of visual motifs offered as design accessories to the logo and typography. These include wallpaper (think textures and patterns) and little flourishes (dingbats and other graphic mechanisms) that are often used only once or twice – on the back of your business card, for example, or as a screen on your web pages. 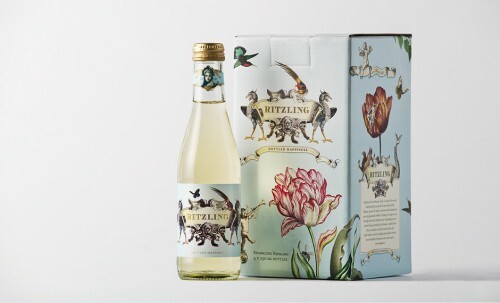 Ritzling - a New Zealand brand story by Tardis Design. Your designer can easily and quickly create custom gift wrap from these existing motifs, and printed tissue paper is “cheap as chips.” Stranger & Stranger have demonstrated that wrapping a bottle not only offers another branding opportunity at the point of purchase, it also conveys important messages about the wine: it’s precious, it’s beautiful and it comes “all wrapped up” – a gift that one is purchasing for oneself. Posted in Brand management, Packaging. Bookmark the permalink. Post a comment or leave a trackback: Trackback URL.